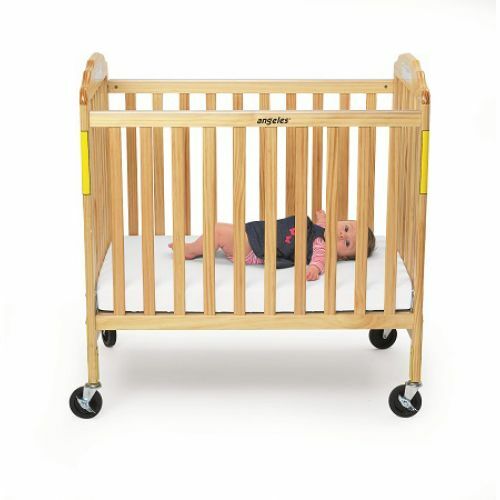 Evacuation crib is made from hardwood with a steel evacuation frame and framed posture board. Features 4" rubber casters (2 locking), and plastic teething rail. 3" vinyl, antimicrobial, germ- and phthalates free mattress included.